Apple TV 4K with 4K, HDR and A10X Fusion chip announced. Apple today introduced the new Apple TV 4K designed to deliver a stunning cinematic experience at home. 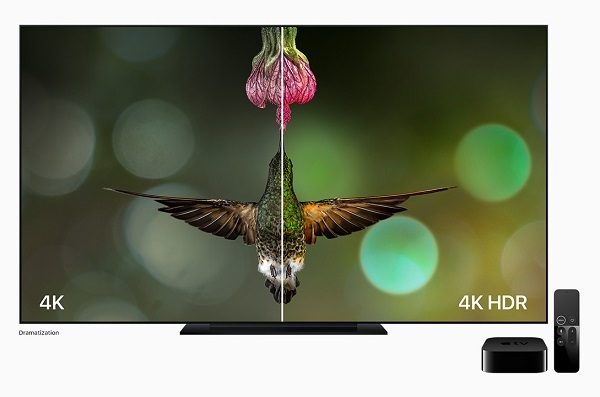 With support for both 4K and High Dynamic Range (HDR), Apple TV 4K features sharp, crisp images, richer, more true-to-life colors, and far greater detail in both dark and bright scenes.